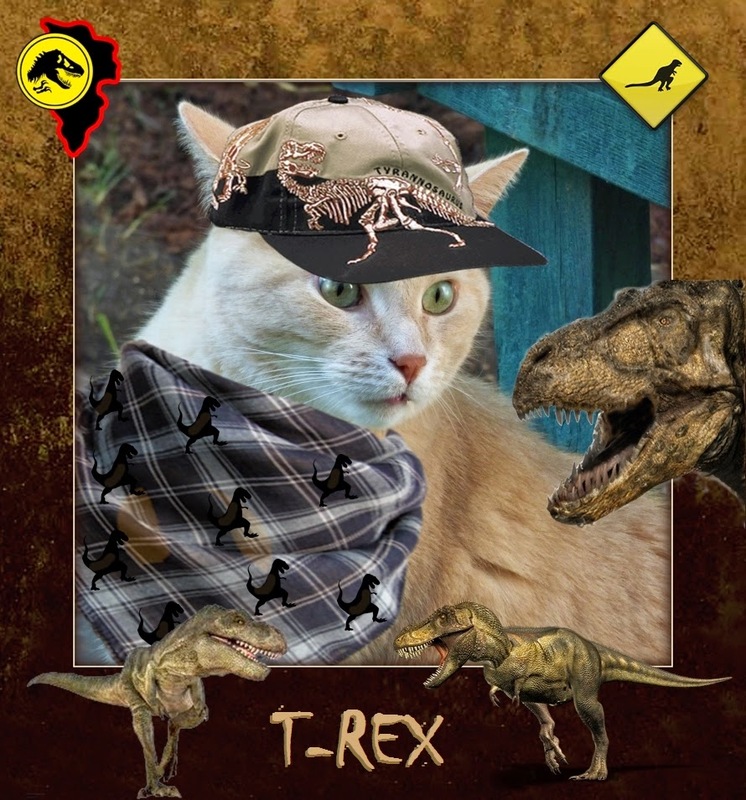 Wendy's 3-D Cats: 3-D MILLINERY MONDAY: PUT ON YOUR THINKING CAPS! I have asked each of the 3-Ds to put on their thinking caps, today. They were supposed to pick a cap that showed what they were actually thinking about. Domino had ladybugs on the brain! 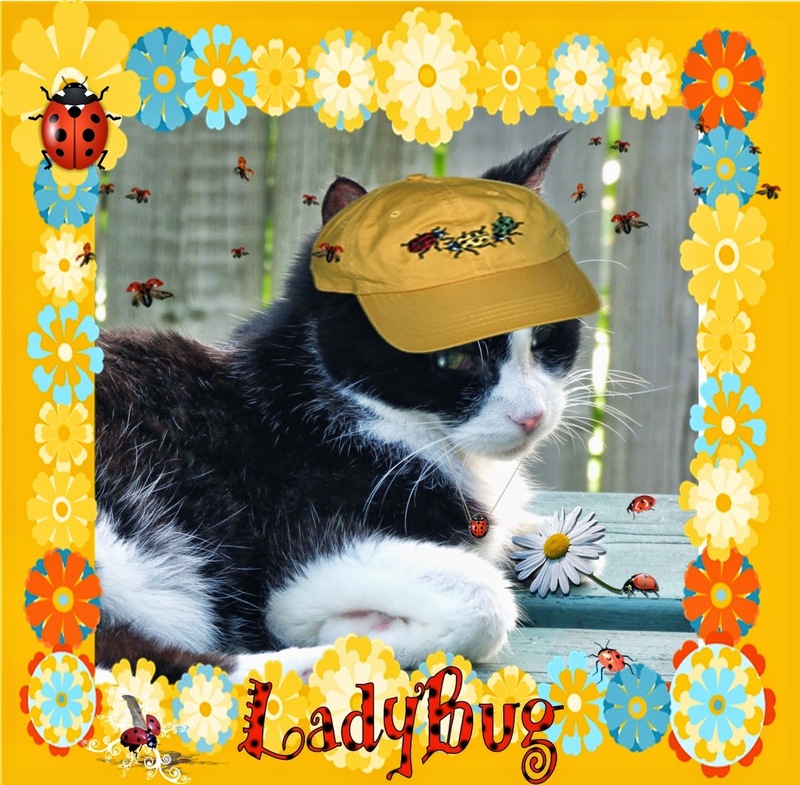 "Ladybugs is my fafurite bugs becuz dey is ladies. Dey appeals to my ladylike instinks", she says. Dante is thinking of another kind of insect. He's channelling the 'Monarch Butterfly'! "I has an affinity fur Monarchs becuz dey is Kings. 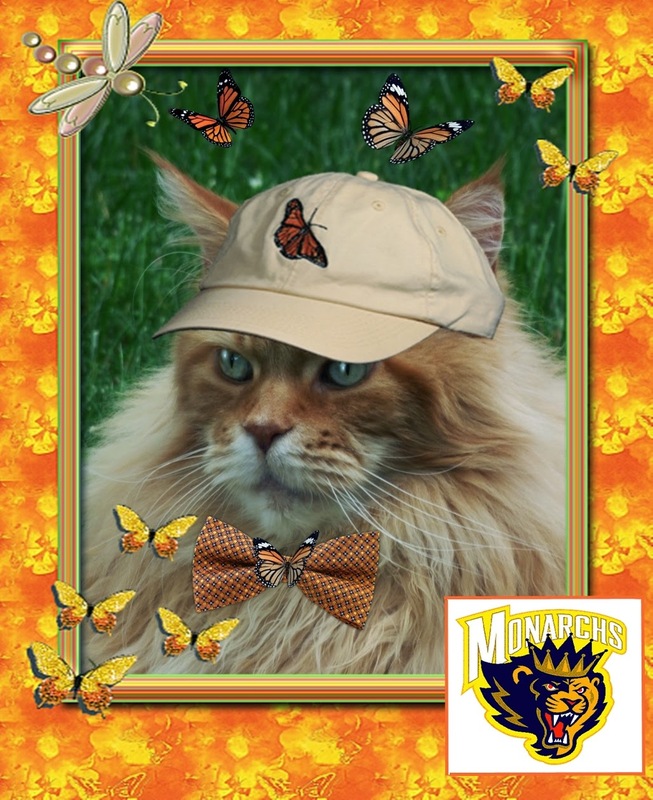 Dey is Kings of da Lepidoptera an' Lions (like me) is Kings of da Cat World." And Dylan is thinking, as usual, about what scares him the most. Someone let him watch 'Jurassic Park' and now he's terrified of dinosaurs -- especially that giant T-Rex! "I makes no bones about it", say Dylan, "I is scared outta my wits!!!" Frankly, I didn't think Dylan had any wits to be scared out of, but we'll give him the benefit of the doubt. So next time, before you actually put on your thinking cap, think about what you want to think about first!